Somewhere along the way of transitioning to living in Germany, I made it a priority to blend in. If I could get through a day without making a mistake in the grocery store, sounding like an American, or even worse, confirming the “American” stereotype, I would deem myself successful. But any mistake I made or twinge of embarrassment I suffered could quickly damper my day. It became harder to laugh at myself in these moments and I instead grew only more frustrated and convinced of my need to be “more German.” This American/German charade has grown exhausting and I’ve compromised myself in the process. I’ve realized that if my goal in coming to Germany was to blend in with my surroundings, I would have missed my purpose in coming. Because what if the point of obedience to Christ was about being different and standing out? Not in an obnoxious-American type of way but in a distinctive, non-conformist way of living in postmodern Germany. (And no, being a non-smoker is not enough). In my chameleon-like efforts, it’s been harder to discern the difference between the two. Living distinctively will probably still mean undesired attention but I am hopeful that stronger relationships and conversations will follow. 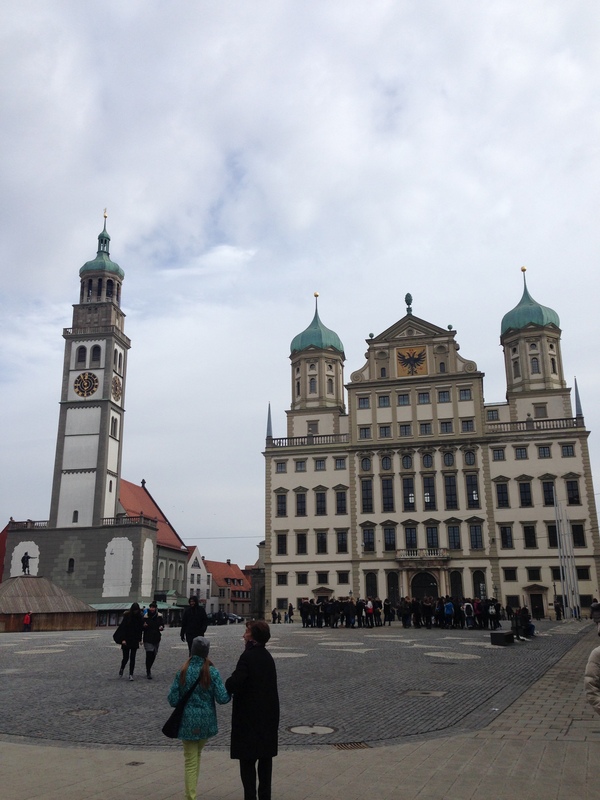 This weekend I paid a visit to Augsburg, Germany (as in the Augsburg Confession and Peace of Augsburg). This city was founded by the Romans and is one of the oldest cities in Germany. While there I got to visit the beautiful St. Anne’s Church. 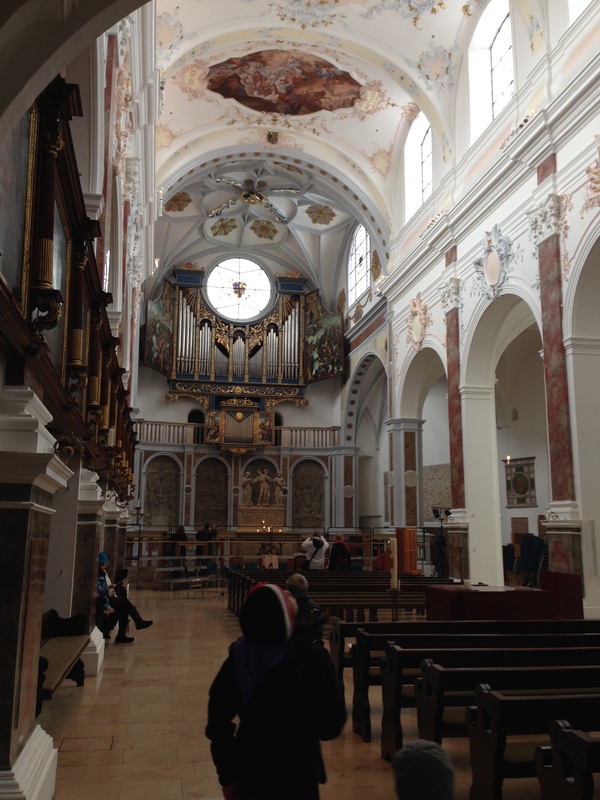 It was here that Martin Luther was ordered to recant his 95 Theses. In Luther’s mind, refusal to do so would mean excommunication, perhaps even death. Not knowing what lay ahead, he stood firm in his conviction that Scripture is the ultimate authority in a time when even the church did not believe so. By not conforming to the status-quo, he risked labels of insanity, insubordination, and received quite a bit of attention too. “Do not be conformed to this world, but be transformed by the renewal of your mind…” (Rom. 12:2). This “world” is the same here in Germany as in America and I must daily guard against my longings to blend in with this living, breathing spirit of the age that permeates our world. Resisting is painful and uncomfortable. To resist means getting pulled, pushed, and knocked like an ocean buoy in a thunderstorm. And every day I must choose whether or not He is worth it. Yes, there will be embarrassing moments. Maybe even dangerous ones. But this distinctive, dignified way of living is the core of my identity that cannot be culturally compromised.